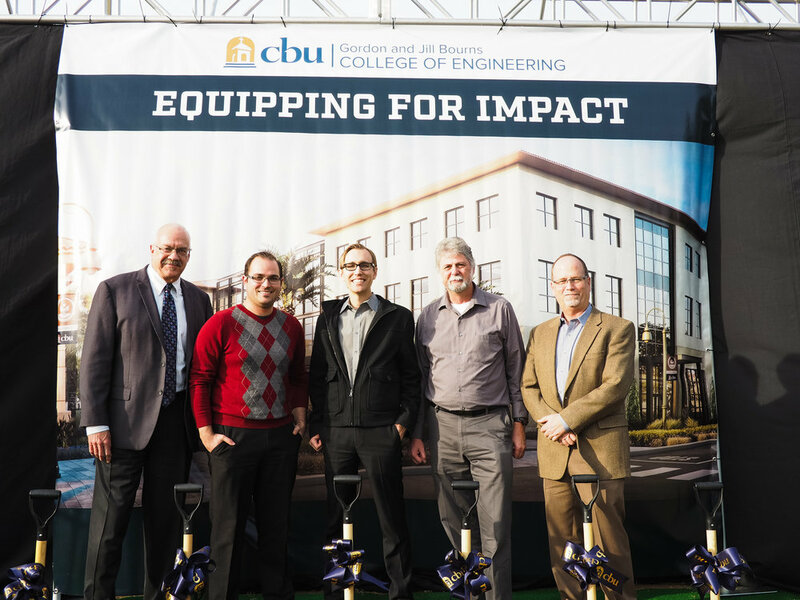 On Wednesday, December 14, California Baptist University broke ground on their 100,000-square-foot building for the Gordon and Jill Bourns College of Engineering. 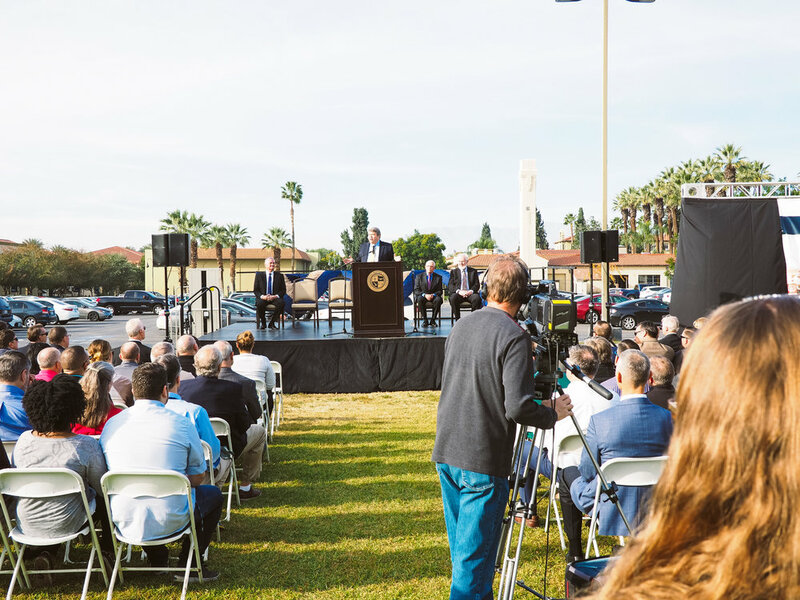 In what Dr. Ronald L. Ellis, CBU president, called a “wow” moment for CBU, Gordon Bourns, chairman and CEO of Bourns Inc., shared his excitement for the project based on the quality of students the College of Engineering has produced in their first ten years. 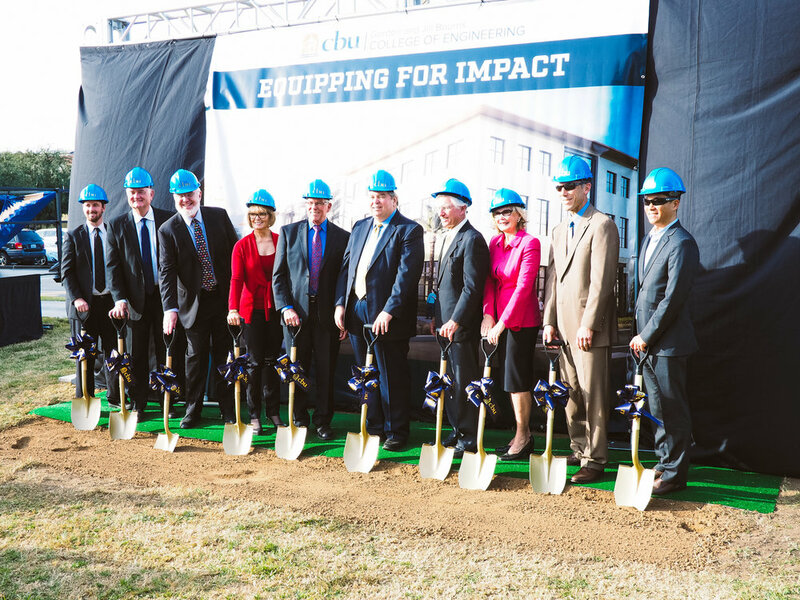 The three-story building is targeted for completion in the summer of 2018.